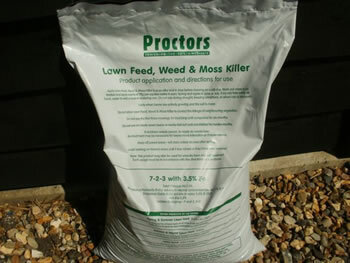 Weed, feed and moss killer will selectively kill weeds in your lawn whilst feeding your grass and turning it a lush green. The added iron content will kill the moss. Unlike other similar products, Proctors still use a micro-granular rather than mini-granular, and haven't increased the weed killer content just to compete on the sq. meter coverage per bag. This means Proctors LFW+M is safer to use, and in many instances has 4 times as many granules per sq metre, making it more affective at reaching those troublesome weeds. 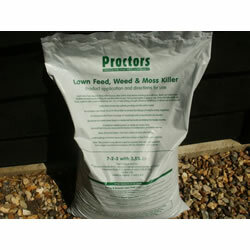 Proctors is a family firm and has been supplying quality fertilisers for nearly 200 years and are highly respected. This 20 kg bag is enough to treat 300 square metres once or half of that twice etc and is so much cheaper than buying the small bags from the DIY stores and garden centres. We normally dispatch the day you order on a next business day service.